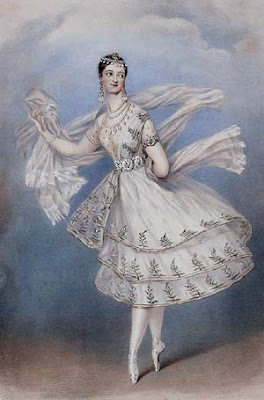 Marie Taglioni, Swedish-Italian dancer, the most important ballerina of her era, who established the delicate, ethereal style of early romantic ballet. 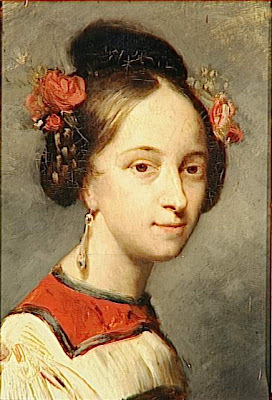 Born in Stockholm, she studied with her father, the Italian choreographer Filippo Taglioni, and made her debut in Vienna in 1822. 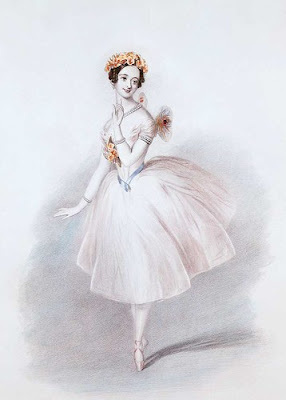 In Paris she created the title role in her father’s La Sylphide (1832), inaugurating the romantic era in ballet. 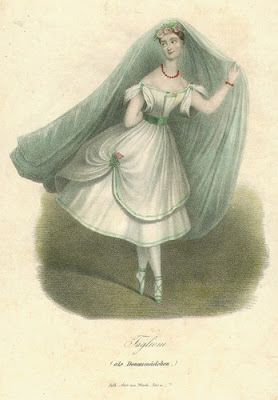 In this role she became one of the first women to dance en pointe (on the tips of the toes). At the same time she introduced the bell-like skirt and tight-fitting bodice that became the classical costume of 19th-century ballet. This entry was posted on 13 novembre 2007 at 8:48 and is filed under Marie Taglioni 1804-1884. You can follow any responses to this entry through the RSS 2.0 feed. You can leave a response, or trackback from your own site.